The bane of modern era for photographers in a city like Wroclaw are the ever present advertisements of all shapes and sizes. Mostly, king size. It is annoying to the highest degree when one has a frame filled with ugliness covering the desired subject. You can see a miniature of this problem in this image, although I have already cropped out the original photograph. what a beautiful building. Love the color and architecture. 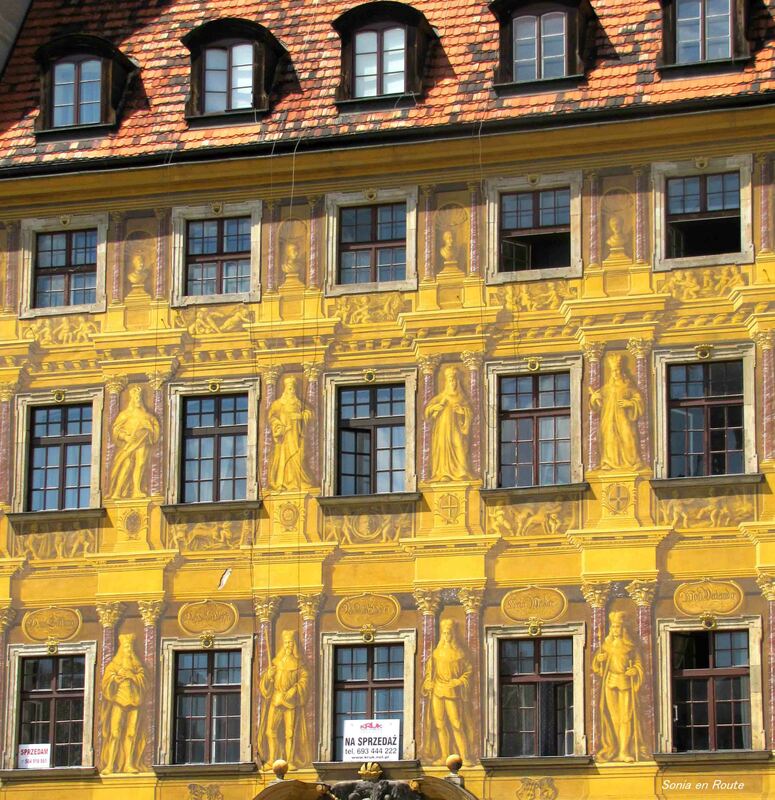 That is true that Wroclaw has an old German town appearance, because it used to be a German town before the war, however not throughout its whole history. Of course I know it! It is Szczecin. I have been there a couple of years ago. Nice town, it has a beautiful white “castle” and there is a Beech Forest that is well known. Lovely building. Ah, yes advertisements, always having to change angles to avoid them.